Dr Pepper Float Popsicles and Summer Fun! - Home. Made. Interest. 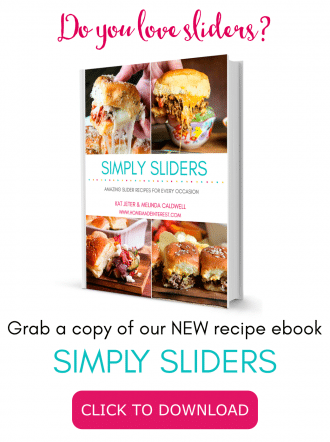 Home » Recipes » Desserts » Dr Pepper Float Popsicles and Summer Fun! 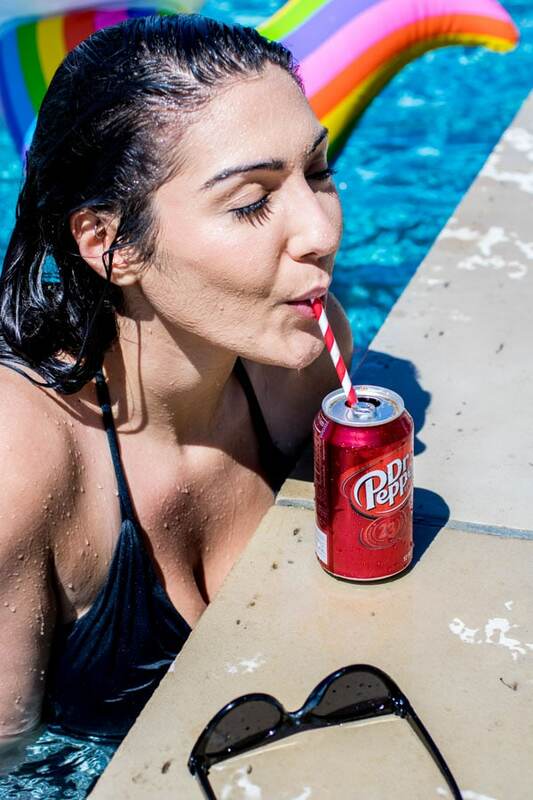 Summer is all about fun with friends, days spent by the pool, and lots of Dr Pepper. These easy Dr Pepper Float Popsicles are a mix of vanilla ice cream and Dr Pepper frozen into delicious popsicles that will keep you and your friends cool on long summer days. This post was sponsored by Dr Pepper®. All thoughts and opinions are 100% our own. Summer is here, the pool is open, and party season is in full swing. I love having friends over and spending the day floating around the pool, sipping Dr Pepper and waiting for the guys to grill something tasty. 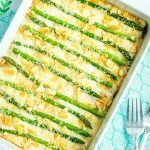 Summer is all about relaxing and there are only three things you need to make your summer parties epic: food, fun, and friends. 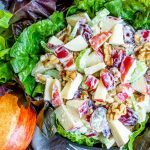 Food – Keep it simple but make sure it’s delicious! You want to keep your guests fed and the ice-cold Dr Pepper flowing during the party but you want to be able to enjoy yourself too. Make things ahead of time! 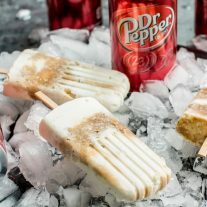 Plan a menu that includes make ahead dips served with chips or crackers, easy skewers that can be taken out of the fridge and thrown on the grill, and an easy dessert like these Dr Pepper Float Popsicles. Head to Walmart a few days before your party and pick up everything you need! 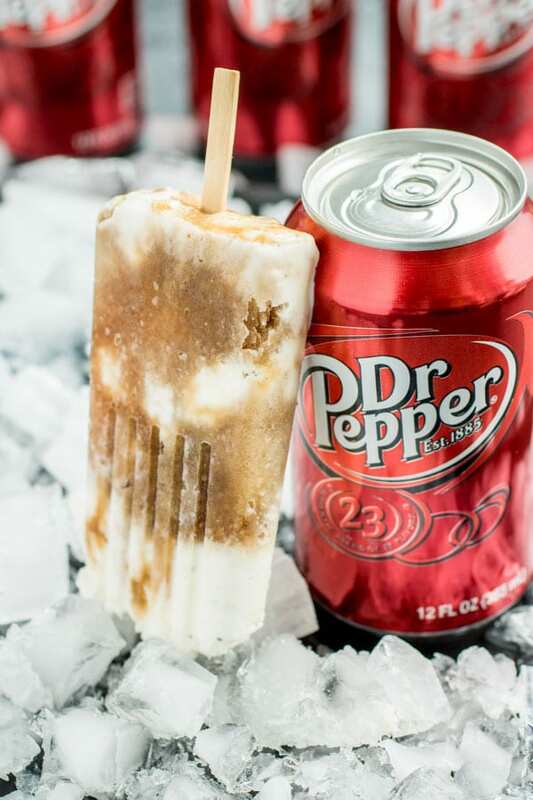 You’ll want to grab some vanilla ice cream and Dr Pepper at Walmart so you can make your Dr Pepper Float Popsicles at least 2 days before your party. They are super simple to make, but since things have to freeze, you need a little extra time. Open 2 cans of Dr Pepper and pour them into a resealable container (freezer safe!) and then put it into the freezer so it can freeze and become slushy. I put mine in the freezer before bed and it was ready in the morning. Once the Dr Pepper is frozen, break it up and stir it around so it is nice and slushy. Get out your popsicle molds and layer vanilla ice cream and the frozen Dr Pepper into the molds. There is no wrong way to do it! 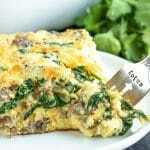 Place them back in the freezer and freeze them overnight. If you are really on the ball you can make them up to a week ahead of time. Then, when it’s time to party, bring out the popsicles. It’s the perfect way to keep your guests cool…and who doesn’t love a Dr Pepper Float?! 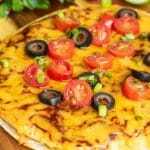 Fun – Make it a party to remember! 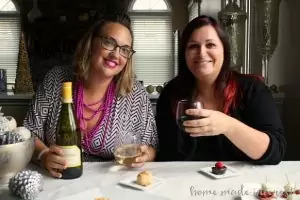 Friends – Sit back, relax, and enjoy them! The whole point of a party is friends, and when they party starts you want to be able to enjoy them. A pool party doesn’t have to be complicated. Keep the food and decoration simple it’s all about the sunshine and good times. 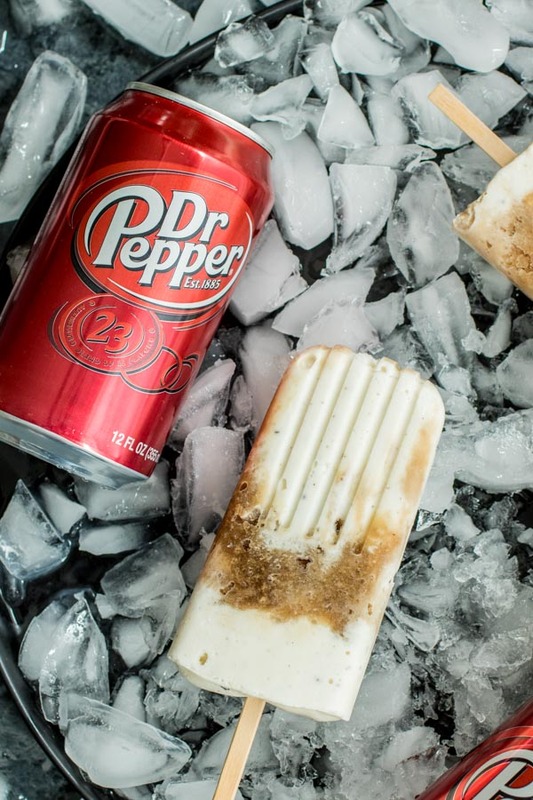 Blow up your Dr Pepper pool float, pull the Dr Pepper Float Popsicles out of the freezer and get in the pool! 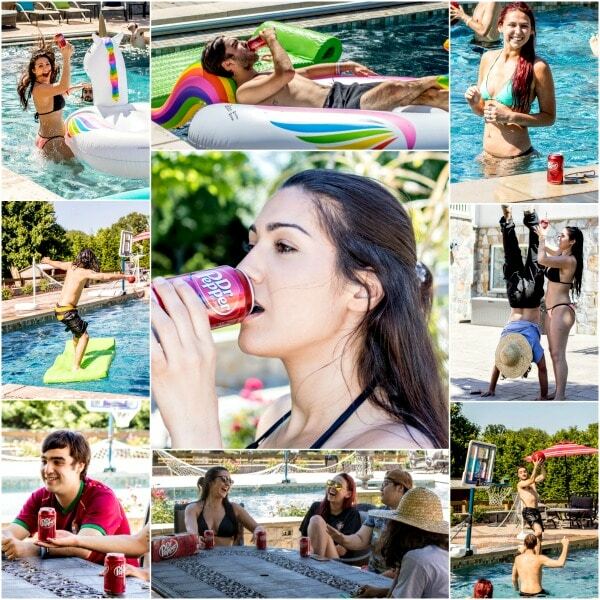 Keep the party going all summer long with good food, friends, and Dr. Pepper! These easy Dr Pepper Float Popsicles are layers of Dr Pepper and vanilla ice cream that make the perfect dessert for summer parties! 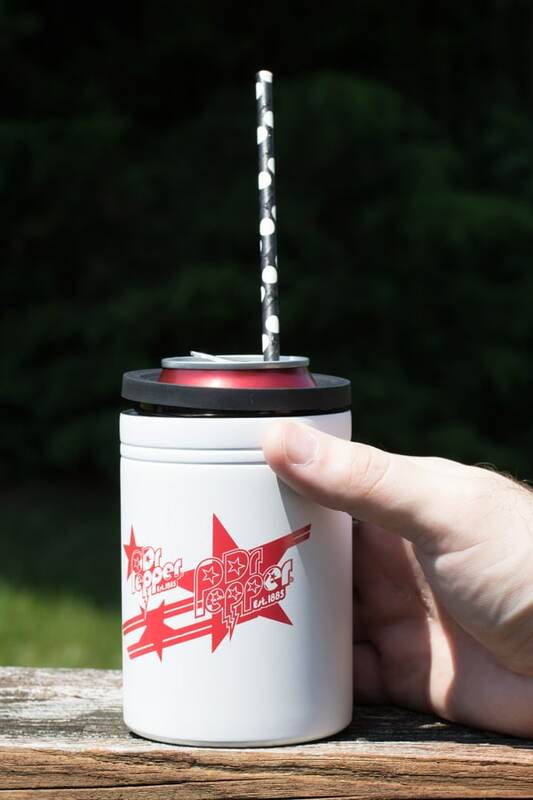 Pour Dr Pepper into a resealable container (freezer safe!) and then put it into the freezer so it can freeze and become slushy (overnight or at least 6 hours). Once the Dr Pepper is frozen break it up and stir it around so it becomes a loose slush. You can let it thaw for a little while if needed. Create layers of vanilla ice cream and frozen Dr Pepper in popsicle molds. Place popsicle molds in the freezer and let freeze overnight. When ready to serve run the popsicle molds under warm water to help release the Dr Pepper Float Popsicles from the molds.